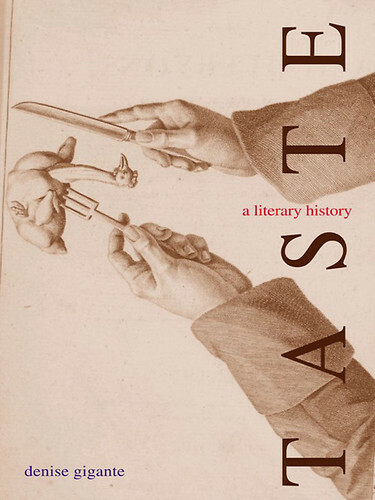 Taste: A Literary History | "მარანი"
What does eating have to do with aesthetic taste? While most accounts of aesthetic history avoid the gustatory aspects of taste, this book rewrites standard history to uncover the constitutive and dramatic tension between appetite and aesthetics at the heart of British literary tradition. From Milton through the Romantics, the metaphor of taste serves to mediate aesthetic judgment and consumerism, gusto and snobbery, gastronomes and gluttons, vampires and vegetarians, as well as the philosophy and physiology of food. The author advances a theory of taste based on Milton’s model of the human as consumer (and digester) of food, words, and other commodities—a consumer whose tasteful, subliminal self remains haunted by its own corporeality. Radically rereading Wordsworth’s feeding mind, Lamb’s gastronomical essays, Byron’s cannibals and other deviant diners, and Kantian nausea, Taste resituates Romanticism as a period that naturally saw the rise of the restaurant and the pleasures of the table as a cultural field for the practice of aesthetics.